Windows 7 has become the most widely used Windows operation after Windows XP. As a Windows 7 user, you are able to create multiple user accounts on the computer. This is the easiest way to protect your personal information on your computer. In this article we are going to review some common password problems about Windows 7. 1. How to create a password for your user account? Open the User Accounts window first (click Start > Control Panel > Family Safety and User Accounts). Then click create a password for your account link, and type a password for your user account. Type it again to confirm. Remember to type a password hint in case you forgot your password. Finally click Create password button. 2. How to create a password reset disk for your user account in Windows 7? A password reset disk will help you to reset your user account password if you happen to forget the password. So after adding a password to your user account, remember to create a password reset disk immediately. Go to the User Accounts screen, click Create a password reset disk to bring up the Forgotten Password Wizard. Then creating the password reset disk with a USB driver or CD drive by following the wizard. Tips: if you don’t create a password reset disk for your user account in Windows 7 but unfortunately forgot Windows 7 password, you can turn to the Windows 7 password recovery tool to help you reset Windows 7 password. 3. How to change a password for Windows 7? Step1: Click on Start and then Control Panel. Step2: Click on User Accounts and Family Safety and then User Accounts. Step 3: Click “Change your password” in Make changes to your user account area of the User Accounts windows. Step 4: Enter your current password in the text box and then the password you would like to change. Step 5: Click on “Change password” to confirm your changes. Now your Windows 7 password has been changed. Step 3: Click “Remove your password” in Make changes to your user account area of the User Accounts windows. Step 4: Enter your current password in the text box and then click the “Remove Password” to confirm that you would like to remove Windows 7 password. In this article, I have discussed the common password problems about Windows 7 people encountered in their daily life. 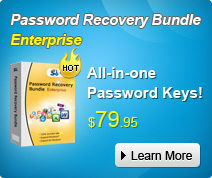 I hope it will help you solve your Windows 7 password problem. Genius! You’ve just saved Windows 7 laptop, thank x a billion!